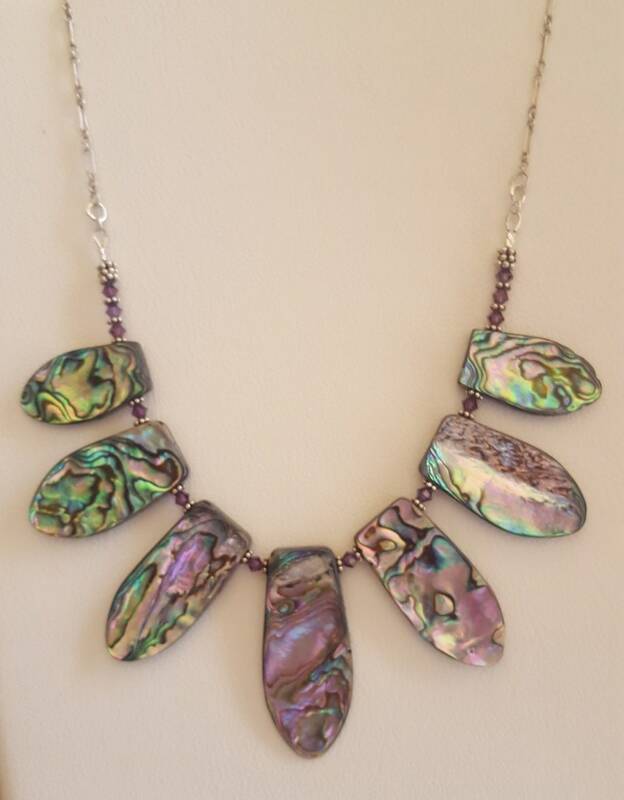 Really unique abalone and violet/lavender Swarovski beads with Bali silver accents. Attached on sterling silver chain and fastened with sterling toggle clasp. Largest shell in center measures 2" with graduated smaller ones on each side. 18"